Scorpions are part of the arachnid family, which means that they possess eight legs. Their physical makeup is composed of two segments that are called the cephalothorax. The cephalothorax is made up of their extended body and their tell-tale segmented tail ending in a stinger. Scorpions typically prefer dry climates, and because of this are quite susceptible to moisture loss if they’re unable to find shade and shelter during the hottest parts of the day. Female scorpions carry their eggs inside their bodies before laying them and then carrying them on their backs until the babies are ready to break out on their own. Scorpions usually live between three and five years but their lifespan, in the correct circumstances, can end up being two to five times as many years. The species living in the United States are not commonly known to cause death; however, their bite can be painful. Scorpions consider smaller creatures such as birds, centipedes, lizards, mice, rats, and the like their general prey. When hunting for this prey, they use their pincers to catch it and inject their victims with venom to paralyze or kill it before consuming it. 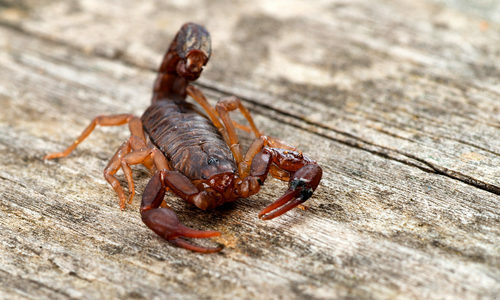 Individuals with insect allergies should take particular caution at night when scorpions are most active because an existing allergy can make a normally non-lethal bite or sting into something else entirely. Why do I have scorpions? You likely have scorpions because they found your home to be a reliable source of food, shelter, and the moisture they need. Since scorpions are carnivores, their presence in and around your home or business could be a sign that there is an existing infestation you haven’t yet noticed that is prompting them to seek you out. How can I prevent scorpions? Prevent scorpions from entering your home or business by making sure that you’ve sealed any entry points. After that, get in contact with a pest control professional to inspect your home because of the likelihood of an existing infestation that’s making scorpions seek their food on your property. As additional precaution you can set up strategic sticky traps in an attempt to catch any before they’re able to officially make your home their own. How can Gregory Pest remove scorpions from my home or business? 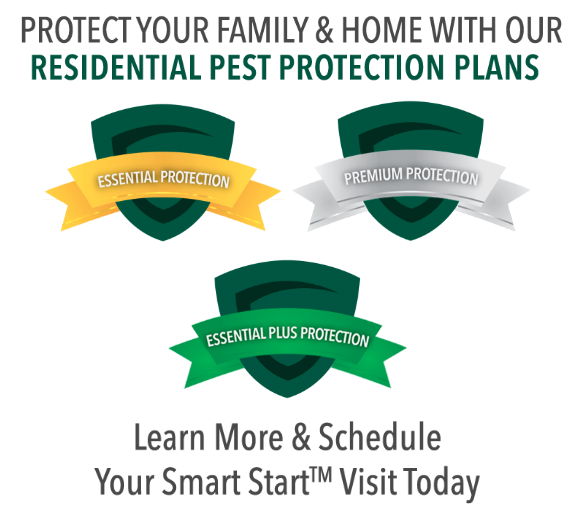 Gregory Pest Solutions has over 40 years experience and is a leader in southeast pest control. Our trained experts assess each situation and formulate a plan to eradicate your home or business of scorpions. Environmentally friendly, our methods are effective and safe because we know you care about your employees and customers. But best of all – our work is 100% guaranteed! When you hire us to evaluate how extensive your home’s pest problem is, one of our pros will be sent to assess the scorpion situation and then formulate an environmentally friendly plan for removal and prevention. Once we implement our plan, our experts will clean the area and seal any openings that are prime for future nests so you and your family can enjoy a lasting pest-free environment.